By using the volumes of "Soldiers Died in the Great War" as a foundation and amending the roll according to information found in the battalion War Diary, regimental history, newspaper clippings I have come across, Commonwealth War Graves Commission (CWGC) database details and the officers' service records (where available), this roll is as accurate as I can achieve. Any additions or amendments will be added as I come across them but please contact me if you are aware of a discrepancy in the details shown. At 6.30am on the 13th November 1916, the battalion saw their first offensive action when the surprise attack that would become known as the Battle of the Ancre was launched. British Divisions assaulted German positions around the Ancre River on the northern edge of the Somme battlefields and made headway that would be capitalised on early in 1917. Casualties were so heavy in the 63rd (Royal Naval) Division that the 2,000 German prisoners taken easily outnumbered the survivors, yet gave the British troops no trouble as they were sent back to the Prisoner cages, often without guards. The Bedfords' own Brigade were to be the third line of the assaulting waves of the 63rd Division, yet the Bedfordshires still lost 9 Officers and 57 men killed with a further 5 Officers and 130 men wounded or missing, most falling to a German strongpoint that had been overlooked by the assaulting waves. Francis was gazetted a 2/Lt on the 6th August 1914, two days after war was declared. He landed in France on the 19th December 1914 and served in the 2nd battalion from the 23rd December until wounded during the battle of Neuve Chapelle on the 11th March 1915. 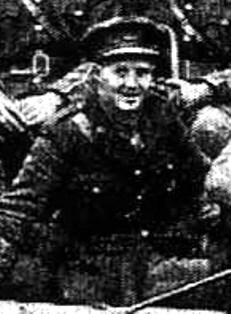 Having returned to fitness again he arrived in France to serve in the 4th battalion, where he fell during the Ancre battle. His obituary on page 1 of the 22nd November 1916 edition of the Times, records he fell leading his Company. He was the son of the late Sir Ellis Ashmead-Bartlett, M.P., and Lady Ashmead-Bartlett. Richard was gazetted a 2/Lt in the 2nd battalion on the 20th March and joined the battalion in the field on the 26th March as a cadet from the Artist's Rifles. Two months later, on the 17th May, he was wounded at the Battle of Festubert during the eight day battle that saw half of the battalion become casualties and many of the wounded men drown when they were unable to pull themselves from the deep ditches in the area. After his ordeal in May, 2/Lt Boys returned to Blighty to recover and was promoted to a full Lieutenant on the 29th October 1915. He was attached to the 4th battalion when he returned to France in the autumn of 1916, where he was killed during the Ancre battle. Killed in action 13th November 1916, aged 20. Bartlett was educated at Eton before the war and was gazetted a temporary 2/Lt in the 4th battalion on the 15th August 1914 and promoted to Lieutenant 4th March 1915. He arrived in France on the 13th May and joined the 1st battalion in the field on the 15th May 1915 but was sent away to hospital on the 9th July 1915 with a fever. Having recovered, Bartlett joined the 4th battalion and was killed during the fighting in November 1916. He was the son of Laurie and Maud Mary Newton Frere of Twyford House, Bishop's Stortford, Herts and is buried in the Knightsbridge cemetery, Mesnil-Martinsaart, 8km north of Albert. He was also Mentioned in Despatches for bravery in the field. William was gazetted a 2/Lt in the 4th battalion on the 6th February 1915, which was confirmed on the 24th October. He appears to have left for France with the 4th battalion in the summer of 1916 and on the 2nd November 1916 he became the battalion adjutant; a role he maintained until his death several days later. William was the only child of Mr W. and Mrs A.D. Turnbull, of Prior Manor, Corbridge-on-Tyne, Northumberland. He lies in the Knightsbridge cemetery, Mesnil-Martinsaart, 8km north of Albert. Sydney was gazetted a 2/Lt in the 3d battalion on the 5th August 1916 and sailed to France attached to the 4th battalion once they were deployed. He was killed during his first offensive battle and was the son of Walter Golds Agate and P. Agate of "The Oaklands" in Headcorn, Kent. Second Lieutenant Agate is buried in the Knightsbridge cemetery, Mesnil-Martinsaart, 8km north of Albert. John was born 9th January 1895 and enlisted on the 4th August 1914, when he was a resident of 18 Polmuir Road in Aberdeen. He was gazetted a 2/Lt on the 26th June 1915 and arrived with the 4th battalion late in the summer of 1916. John was the son of John Brodie of 28 Carlton Place in Aberdeen and is buried in the Knightsbridge cemetery, Mesnil-Martinsaart, 8km north of Albert. He is recorded on Aberdeen's City Roll of Honour, Aberdeen Grammar School Roll of Honour, Officers Book page 85, North of Scotland Bank Ltd: War Record: Page 29, Aberdeen Daily Journal Roll of Honour. Thomas was gazetted a 2/Lt on the 7th July 1916 and arrived with the battalion not long before his death that November. Harold was the son of William M. and A.E. Hudson of 36 Friends Rd., Croydon. Leslie was gazetted a Temporary 2/Lt on the 6th March, which was confirmed on the 24th October 1915. He seems to have arrived with the battalion when they were mobilised in July 1916 and was wounded during their assault on the 13th November. Having struggled against his wounds for over a week, on the 21st (or 23rd) November, Roger died. He lived in Wraysbury, Bucks at the time of his death and was the only son of Richard and Margaret Wilkinson of 237 Knightsbridge in Kensington. Roger is buried in the Etaples cemetery on the coast, where he died. In February 1917 the British army commenced operations on the banks of the Ancre river once again, intent on driving the German forces from the salient they occupied before pushing on with their next large scale campaigns that spring. Several 'assault divisions' were assigned the task, including the renowned 63rd Division, who launched their operations on the 11th February. The next two Officers fell and a further 70 casualties were lost during the partly successful advance which was held up by uncut wire. Lieutenant and Adjutant Leonard Terry DESPICHT, M.C. Leonard was the son of Joseph and Lucy R. Despicht, of "Trenebie," 375, Sandycombe Rd., Kew Gardens, Surrey and a native of London. Gillies was the son of Mrs. I. C. Mackirdy, of 1 Ingleside Grove, Blackheath, London and is bured in the Knightsbridge cemetery, Mesnil-Martinsaart, 8km north of Albert. During the Battle of Arras, the Division were ordered to assault German positions around Gavrelle. Their sheer tenacity resulted in the operation going down in the annuls of the divisional history as one of the finest achievements of the war which, given their reputation, was quite something. According to the personal diary of Frederick Spicer, MBE, MC, Roy was killed by a bullet whilst leading a ration party and is buried in the Bailleul Rd. East cemetery, S. Laurent Blagny, Arras. Died of wounds 1st November 1917, aged 26. Second Lieutenant Clarke initially enlisted as a Private in the Essex regiment and was commissioned in July 1917. He was attached to the 4th Battalion from November 1917 and was gassed whilst holding the trenches at Villers Plouich in France. Two of his fellow officers were also gassed on the 2nd January but Albert died later that day. He is buried in the Rocquigny-Equancourt Road British Cemetery, Manancourt, 12km south-east of Bapaume. He can be seen here in the officers' group photograph taken in September 1917. Died of wounds 22nd January 1918, aged 35. George was the son of G. W. C. and Agnes V. Childs, of Ilford, Essex and lies in the Rocquigny-Equancourt Road British Cemetery, Manancourt, 12km south-east of Bapaume, 12km south-east of Bapaume. 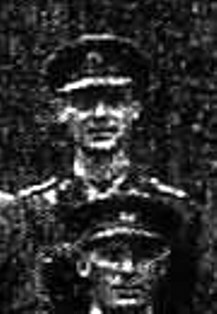 Second Lieutenant Webb was attached to the 4th battalion following the disbanding of the 8th battalion and was killed soon afterwards. He was the son of the late Charles and Caroline Webb and lies in the Rocquigny-Equancourt Road British Cemetery, Manancourt, 12km south-east of Bapaume. During the opening phase of the German Spring Offensives, the battalion were heavily engaged from the start and were practically rebuilt once the fighting had died down. William was from the 5th battalion but fell whilst attached to the 4th battalion in France. He was killed in battle on the 23rd March, whilst the Battalion withdrew from Havrincourt Wood, through Neuville towards Ytres. William was the son of Mary Rosina Davis, of 7, The Embankment, Bedford, and the late Dr. William Davis. He is remembered on Arras Memorial to the missing (above). Arthur was attached to B Company of the 4th battalion from the 3rd (Reserve) battalion and is shown here in the 1917 Officers group photograph. 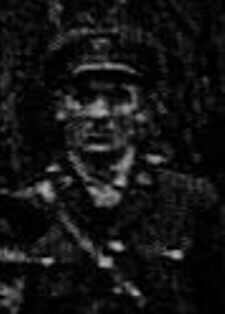 Lieutenant-Colonel John Stanhope COLLINGS-WELLS, V.C., D.S.O. Lieutenant Colonel Stanhope-Wells was the battalions Commanding Officer. His full biography can be seen here. 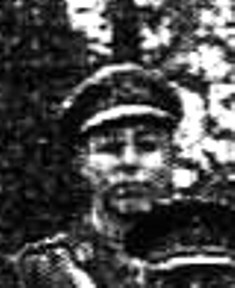 Major George Paterson NUNNELEY, M.C. Major Nunneley was the battalion's second in command and was a pre war officer who had served on the Western Front since November 1914. He was the son of Rev. F. B. Nunneley, M.A., M.D. and lies in the Ovillers Military Cemetery, 5km north-east of Albert. Oliver was born in Earl Stonham, Suffolk and was the son of Mr. and Mrs. H. Soames and the husband of H. K. Olive Soames, of 71, Norwich Rd., Ipswich. He lies in the Bouzincourt Ridge Military cemetery, 3km north-east of Albert. 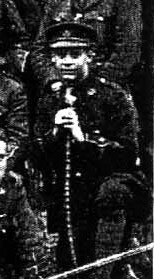 Oliver can be seen here in the officers' group photograph taken in September 1917. David joined the 4th battalion on the Western Front on the 11th August 1917. 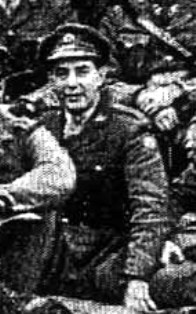 On the 27th March 1918, the 4th Battalion was west of Albert and counter attacked German positions, resulting in heavy Officer casualties including 2/Lt Macklin. He was the son of the Rev. Herbert W. Macklin and Marian M. Macklin, of White Wood Corner, Sandy, Beds and is buried at the Ovillers Military Cemetery. Leslie was the son of Mr. A. R. Vincent, of 21, Cowick Rd., St. Thomas, Exeter and lies in the Cambrai East military cemetery. James was born 18 October 1887 at Douglas on the Isle of Man, the son of Dr. and Mrs. Primrose-Wells. At the time his father was the Surgeon to the Governor of the Isle of Man. He served in the Honourable Artillery Company for two years before his family moved to Canada, where James was an Accountant by the time war broke out in 1914. Aged 27, James enlisted into the Canadian infantry as Private 77820 on 18 November 1914. Initially serving in the 30th Battalion, he was gazetted a Temporary Second Lieutenant in the Special Reserve of Officers, being posted to the 4th Bedfordshires on 22 May 1915. Second Lieutenant Primrose-Wells set sail for France 19 May 1916 and joined the 2nd Bedfordshires in the field on 13 June 1916. On 30 June 1916 his rank was confirmed and he was promoted to full Lieutenant on 1 July 1917. James survived several of the battalion's engagements during the Battle of the Somme but on 8 September 1916 was send to hospital sick. Once recovered he was posted to the 4th Battalion but was wounded during their assault on Gavrelle 23 April 1917. Rejoining them on 15 November, he was among the long list of 4th Battalion men posted as wounded and missing during their ferocious rearguard action on 27 March 1918 that saw his distant relative Lieutenant-Colonel Collings-Wells VC, DSO killed. Lieutenant Primrose-Well died in German captivity on 4 April 1918 and was buried in the Becourt German Military cemetery. His headstone now stands in the Blighty Valley cemetery although a memorial plaque and the CWGC registration documents record that his was among the five British soldier's whose graves were lost. Lieutenant Ruddock was from the 5th Northumberland Fusiliers, attached to the 4th Bedfords. He arrived with Second Lieutenants Lovatt and Miln (both below) on the 4th April and was killed 2 days later. He has no known grave and is remembered on the Pozieres Memorial to the missing (above). 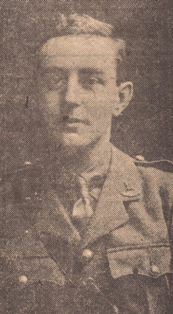 Second Lieutenant Charles LOVATT, M.C. Killed in action 12th April 1918, aged 21. Second Lieutenant Miln was from the 26th Northumberland Fusiliers, attached to the 4th Bedfords. He arrived with Second Lieutenants Ruddock and Miln (above and below) on the 4th April and was killed a week later. As he earned a Military Cross for bravery. He was the only son of Mr. and Mrs. J. Lovatt, of 28, Egerton Rd., South Shields and lies in the Aveluy Wood cemetery, Mesnil-Martinsaart. Killed in action 24th or 25th May 1918, aged 21. Second Lieutenant Miln was from the 26th Northumberland Fusiliers, attached to the 4th Bedfords. He arrived with Second Lieutenants Ruddock and Lovatt (both shown above) on the 4th April and was killed the following month. He was the son of George Peddie Miln and Lillie Miln, of Abbots Lodge, 35, Liverpool Rd., Chester and is remembered on the Soissons Memorial to the missing. Second Lieutenant Matheison was initially posted as missing. He was the son of James Mathieson, of 19, Lyndhurst Gardens, Glasgow and husband of Mabel Nellie Mathieson, of 22, Rose St., Haxby Rd., York. William has no known grave but is remembered on Pozieres Memorial to the missing (above). Killed in action 25th May 1918, aged 25. Captain Gledstone was from the Northumberland Fusiliers, attached to the 4th Bedfords. He was the son of the late Thomas Liddle Gledstone and Annie Elizabeth Gledstone and is remembered on the Pozieres Memorial to the missing (above). Percival is buried in the Bienvillers military cemetery, 18km south-west of Arras. Lieutenant and Quartermaster Mark BRAWN, D.C.M. Mark was the son of William and Anne Brawn of The School House, Elton in Huntingdonshire and lies in the St. Martin Calvaire British cemetery, St. Martin sur Cojeul, 8km south-east of Arras. Captain Knight was from the 3rd (Reserve) battalion, attached to the 4th when he was killed. He was the son of the Rev. C. E. Knight (Rector of Chawton, Alton, Hants.) and Emma G. Knight, of "Summerlands," South Farnborough, Hants and is buried in the St. Sever cemetery, Rouen. Lieutenant Ellis was from the 10th battalion, attached to the 4th when he was killed. He was the son of David and Annie Ellis, of "Holmsdale," Balbriggan Co. Dublin and is buried in the Moeuvres communal cemetery, 10km west of Cambrai. Captain Hobson joined from the 6th battalion when they were disbanded in May 1918, being attached to the 4th. He was the son of James Walter and Rosamond Hobson, of Bedford and the husband of Eileen Nora Roberts, of Lavenderhayes, Budleigh Salterton, Devon. Owen lies in the Moeuvres communal cemetery, 10km west of Cambrai and was mentioned in despatches for bravery. Captain Batten was from the 5th battalion, but attached to the 4th Battalion in France, having also served in the 7th up until their disbandment. He joined the Battalion on 18th June 1918 and was wounded 27th September during operations to take the Hindenburg Line across the Canal du Nord. Captain Batten died from his wounds later that day. Joseph was the son of Joseph and Katie Alice Batten, of Park Corner, Peterborough and is buried in the Mouevres Communal Cemetery Extension. Killed in action 28th September 1918, aged 26. Second lieutenant Waller joined the battalion from the 3rd Northumberland Fusiliers. Thomas was the son of Thomas M. and Emily M. Waller, of 13, Brierville, Durham and lies in the Sunken Road cemetery, Biosleux-St. Marc. Frank was born at Crowle in 1894, the eldest son and one of eight children of Isle and Edith Bellamy (nee Howell). His father was from Crowle and his mother from Scotter. Shortly after Frank's birth the family moved to Robert Street in Scunthorpe, where his father worked in the ironstone mines. Frank worked in the clerical department of the Frodingham Iron and Steel Co Ltd until he enlisted in Lincolnshire Regiment at Scunthorpe in September 1914. Posted to the 8th (Service) Battalion he had already been promoted to Lance Corporal when the battalion went out to France on 10 September 1915. Frank rose up through the ranks in the Lincolnshire Regiment until on 29 May 1917 he was commissioned as a Second Lieutenant. With the commission he was transferred to the 6th Battalion of the Bedfordshire Regiment, who were rebuilding after the Battle of Arleux (when they retired from their assault against Greenland Hill on 29 April 1917 with just 58 men). He would have led his men in the Third Battle of Ypres, (or Passchendaele) where they saw action at the Battles of the Menin Road, Polygon Wood Broodseinde and Poelcapelle. As a result of the 6th Bedfordshires being disbanded in May 1918, on 9 June 1918 Frank was transferred to the 4th Battalion. The 4th Bedfordshire's were heavily engaged in the '100 Days' offensives and in September, Frank went on leave back to England and would have returned by the end of the month to join his battalion as they pushed their opponents back to the outskirts of Cambrai during the Battle of the Canal du Nord. On 8 October the Allies resumed their advance towards Cambrai with an attack along a seventeen mile front. At the Battle of Cambrai the 4th Bedfordshires successfully attacked and captured the village of Niergnies, on the outskirts of Cambrai itself. Here they were counter-attacked twice, both times with their opponents using captured British Mk IV tanks. In holding the village they sustained relatively low casualties, with only two men killed. 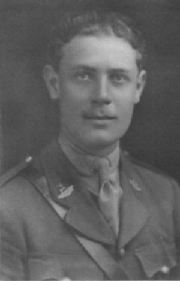 Of the fifteen men wounded, Second Lieutenant Frank Bellamy would die from his wounds later that evening. He was among those interred by the 2nd Division's Burial Officer and today lies in the Noyelles-sur-L'Escaut Communal Cemetery extension. Frank is also commemorated on the recently rededicated Trinity Methodist Church Memorial in Scunthorpe. 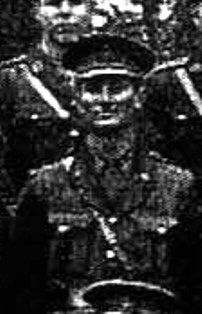 Born 2 December 1883, Frederick was educated at Hampden School and became a Sergeant in the 1st Cadet Battalion of the King's Royal Rifles between 1900 and 1903. After schooling he became a Private Seretary and Accountant, marrying Alice Wiliams on 15 September 1906, their son, Frederick Robert, being born in May 1908. On 22 June 1916 he enlisted as Private 11549 on the Inns of Court and on 9 November 1917 was posted to No.14 Officer Cadet School at Berkhampstead. Training complete, Second Lieutenant Simmonds was discharged to commission 30 April 1918 and posted to the 52nd Bedfordshires. He joined the 4th Battalion in the field on the 3rd October 1918 and survived the battalion's intense final month of conflict, only to die of influenza at home in Southfield, Surrey, on 18 February 1919. The 36 year old officer lies in the Wandsworth (Earlsfield) Cemetery. The former Army Service Corps Private was commissioned 27 November 1917 and joined the 4th Bedfordshires on 20 April 1918. He was wounded 1 October 1918 and died as a result of those wounds 12 June 1919. Albert is buried in the Willesden Jewish cemetery, England.